LANCASTER – Nearly two dozen family members of James McElroy sat in the courtroom all day Thursday awaiting the arraignment of Nicholas Harper, the man accused of shooting and killing McElroy last Tuesday. Harper, 23, was charged with murder Thursday morning and appeared in court late Thursday afternoon before Los Angeles County Superior Court Judge Steven Ogden. After informing Harper that he was facing two consecutive life terms if convicted, Ogden agreed to a two-week continuance to allow the public defender’s office to appoint an attorney to the case, and ordered Harper back to county jail on $2 million bail. Harper has been in custody since being detained at the scene of McElroy’s murder. McElroy was killed on Feb. 7 inside the apartment he shared with Harper at the Parkwood Patio apartment complex in the 38000 block of 20th street east in Palmdale. Deputies from the Palmdale Station got a call of shots fired around 8:50 p.m. and found McElroy at the location suffering from a gunshot wound, according to Lieutenant Mary Leef of the Sheriff’s Headquarters Bureau. McElroy was transported to the hospital and pronounced dead at 9:44 p.m., according to Los Angeles County Coroner’s Assistant Chief Ed Winter. Deputies reportedly recovered two firearms from the location. Harper was detained at the scene and booked on suspicion of manslaughter around 4:25 a.m. on Feb. 8. However, no charges were filed against Harper for manslaughter, and he was held on a traffic warrant until Feb. 14, sheriff’s homicide detective Dan McElderry said Thursday. McElderry said they held off on filing manslaughter charges against Harper, because they were still gathering evidence and awaiting the results of an autopsy that was conducted this past weekend. Harper was briefly released from custody Tuesday, and then re-interviewed by detectives and re-arrested, this time for murder. “We found conflicts with his statements and conflicts with the forensics examination, which is still ongoing,” McElderry said on why they decided to arrest Harper for murder. 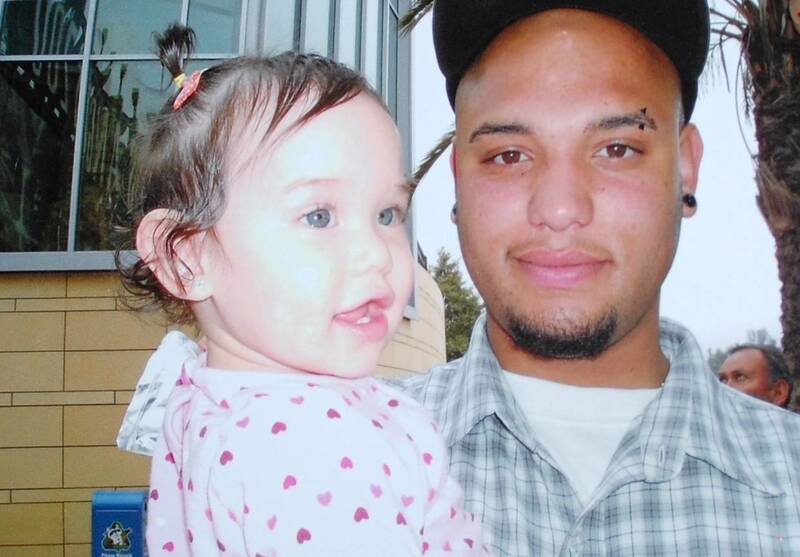 James McElroy, 21, (shown with his 2-year-old daughter Izabella). McElroy’s relatives and friends have insisted from the outset that McElroy was murdered by Harper. Read the family’s story here. Thursday family members said they were relieved that Harper had been charged with murder and would continue to attend all court hearings until Harper was put behind bars permanently. Harper is due back in court on March 1, for arraignment and plea. 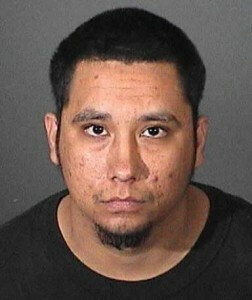 2 comments for "Man charged in roommate murder, bail set at $2 million"
Yes yes yes!!!!! God is good! Yes god is good nd is on our side.